When you need to have a head lice infestation handled, don’t waste money on unproven over-the-counter products or remedies. Effectiveness is critical when searching for a solution to any problem, and when it comes to removing head lice in the Riviera Beach area, our staff at Lice Lifters of Palm Beach Gardens have the products and techniques that work. Please fill out our contact form on this page, so we can set up an appointment for you using a lice treatment process so effective that it’s recommended by many school nurses and pediatricians. After bringing in any family members you suspect have head lice, our first move will be to confirm this with a simple head check. We then move on to a combination of combing out the lice and their eggs, or nits, and then putting a liquid solution on your hair and scalp that’s incredibly effective at killing them. The fact that lice removal is our singular specialty and that we’ve been in business for years lends credibility to the effectiveness of our process in eradicating this problem for families in the Riviera Beach area. We can’t do anything for you until you bring any infested family members to our salon, so we can verify the existence of lice and then eliminate them. 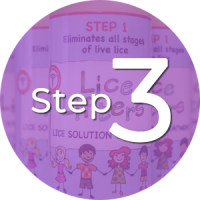 This step is where we actually remove as many of the lice and their nits as possible with a comb that’s specially designed for the task. 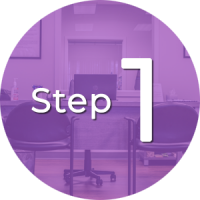 This is the step that mobile treatment services lack and why our process is more effective. This all-natural, non-toxic killing agent is 99.9 percent effective at killing lice. Head lice solutions that seem cheap aren’t really if they don’t work. At Lice Lifters of Palm Beach Gardens, we have the proven steps and products that are so effective at eliminating lice and their nits that we guarantee it. Also, when you step into our lice removal service, you are entering a friendly, welcoming environment for the whole family. The kid-friendly environment provided by our experienced lice removal technicians will put you at ease as a parent. We provide a safe and effective treatment that’s guaranteed. We utilize a killing agent that mobile services lack. Our liquid killing agent is all-natural and non-toxic. Our certified and kid-friendly technicians give you peace of mind as a parent. Our quick treatment is all done in a single visit. We’ll do a thorough head check to verify you have lice and nits. We’ll do an even more thorough comb-out to remove these lice and nits. You’ll have appointment scheduling convenience since we’re open 7 days a week. You and your kids can enjoy our movies, cable TV and play area while you wait. 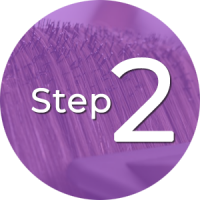 We provide simple instructions and education to prevent future head lice outbreaks.